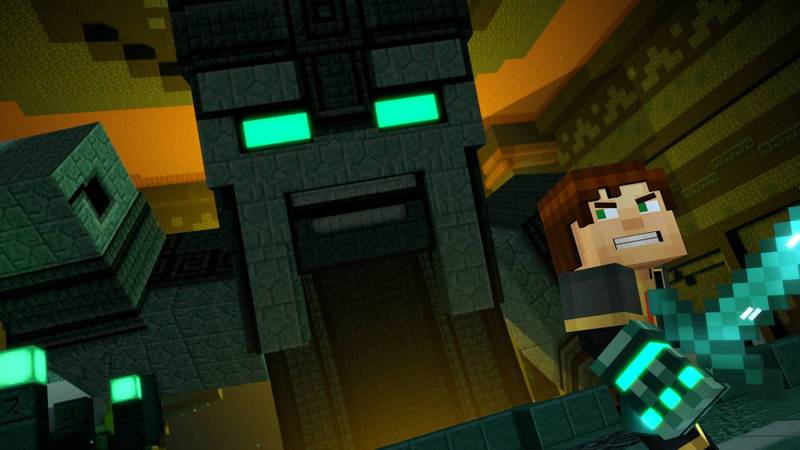 It’s a fresh season for Minecraft: Story Mode and what better way to kick it off than with the same old mechanics and tiresome gameplay that everyone complained about in the first season. We don’t want to write the game off in the first episode but it certainly doesn’t provide a promising introduction to the season. The game begins by recapping previous events from the first season and its DLC episodes to ensure that you are at least somewhat caught up on Jesse and friends’ previous adventures. The story however is very slow to get going as you are forced to walk around your home town having meaningless conversations with characters from old adventures which play no part in the rest of the episode. 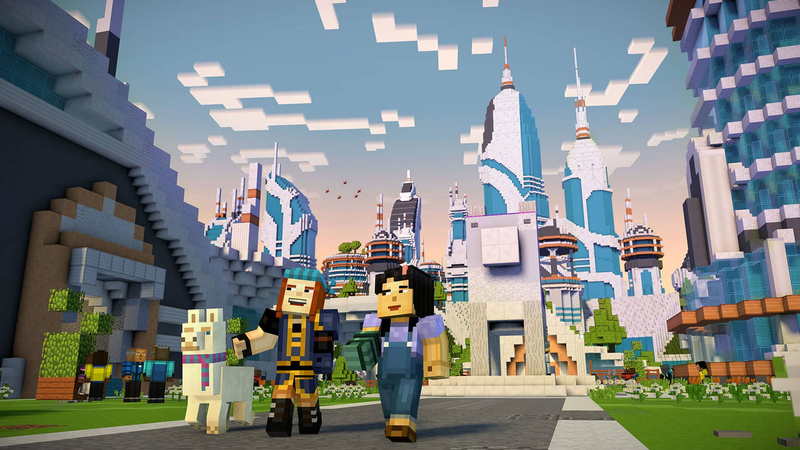 Once the story finally gets under way and the main plot starts to thicken all doesn’t seem so bad: there are some interesting new areas visited that will be familiar to those who have played the latest content in Minecraft. One of the best sections is definitely the underwater temple segment that looks stunning and feels fresh and different to any other area explored so far in Jesse’s adventures. The gameplay has had some slight tweaks that (although not ground-breaking) are noticeable. For instance, the combat system now allows you to dodge roll out of the way of enemies and there is also a stamina bar which prevents you from spamming your attacks. These changes ultimately convert what was a quick, simple, and easy to control combat system into a clunky, obtuse, and frustratingly slow one. Combined with the unnecessary dialogue that feels like its only purpose is to lengthen the short opening episode and you are left with a rather disappointing episode that lasts little more than 60 minutes to complete. The worst part, though, is that we found this episode was really lacking in character: there's little to no humour used throughout and even the music is rather bland and disconnected from the events that are unfolding. There aren’t any dramatic tunes to go with the high tension events and the choices you make also feel rather pointless and lacking in consequence. 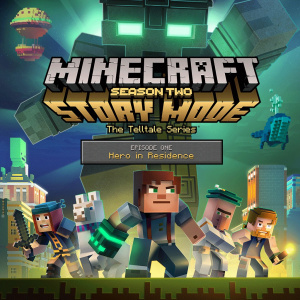 Episode 1: Hero in Residence represents a rather disappointing start to Minecraft: Story Mode Season Two. The story is agonisingly slow to get going, core mechanics are clunky, and there is a huge lack of character throughout which leaves you feeling like you’ve wasted your time. Unless you were a huge fan of Season One and can’t stop punching wood, we’d suggest you wait for another episode to see if this adventure is worth following. We really hope Telltale has got an absolutely stunning season planned, but we're not feeling this one yet. When Simon isn't shut in his room gaming, he's shut in his room reading game reviews. He enjoys a great range of games, from FPSs such as Battlefield to the creative indie title, Minecraft. I've only played a smidgen of the Minecraft series but I still feel that Telltale really need to change up their formula in general. I'd like to see them focus more on shorter episodes that get to the point, strip out all the garbage exploration bits and also find some way of changing up the gameplay so it's a little more interesting. I'm not massively against QTEs, but the way they work in Telltale games is a low point for them mostly. Why do the buttons change randomly? It just makes no sense and most importantly, it isn't fun, at all. I better wrap up this post before it turns into a big anti-Telltale rant but in short, it's disappointing that a developer I love(d), seems to be quickly losing their way. Just when are they going to stop milking this series? 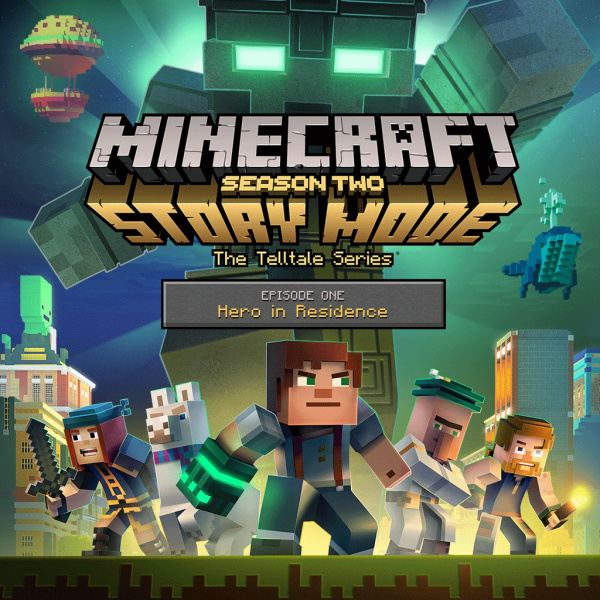 I mean, am I the only one that finds a telltale game based on Minecraft ridiculous? @SoulsBourne128 it makes sense to be fair. I don't understand it myself but Minecraft is huge. I don't know any sales figures but I'd imagine this is Telltale's best selling franchise, based on how often I see it in supermarkets etc. @SoulsBourne128 Definitely not the only one. It's the only Telltales game/franchise I won't be playing. It still sold better than the rest, so I can see them making more. This is one telltale series that just isn't for me though in fairness I am not the target audience. @SoulsBourne128 I find it ridiculous that anyone is trying to make a Story Mode out of MineCraft. To be honest, I didn't even know this was announced, maybe because this one just isn't as recognizable as The Walking Dead, The Wolf Among Us or even Borderlands, in my eyes anyways. And I know a lot of people said this before, but Telltale REALLY needs to change their gameplay a bit. I mean, it doesn't hurt to try to make the gameplay a bit more action-oriented without ruining the story. Can telltale go back to making games in the style of tales of monkey island and Sam and max please? For a brief period they really were the saviours of point and click adventures. Telltale needs to stop making these games for a couple of years, update the gameplay and engine as these games are two a penny now. I've been playing the Devil's Playhouse this weekend and was like "Wow, remember when Telltale made, like, real point and click games?" Not especially surprised. 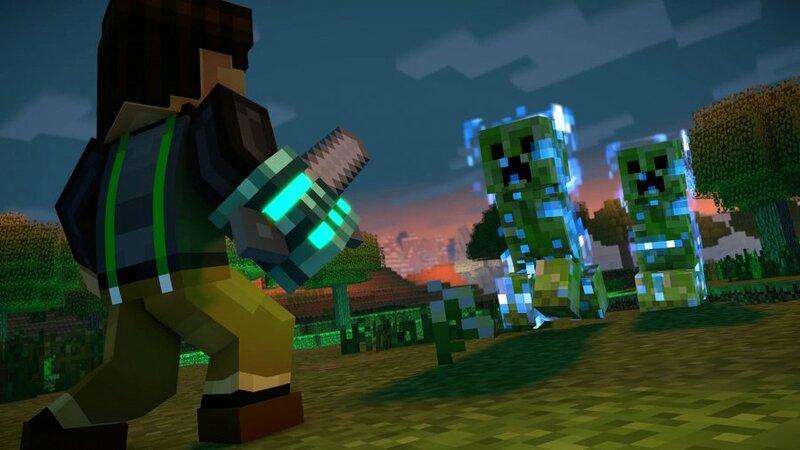 Minecraft doesn't seem like it would make for good adventure game fodder. With that said, I find most of the Telltale games to be dreadfully boring. I enjoyed the first season of The Walking Dead, but that's about it. I love the their boxed games with the first episode and the rest with a downloadcode.... The same goes for the really lazy porting with terrible framerates. 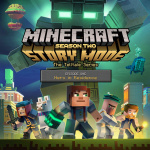 Not too surprising, the first season of Minecraft was by far the worst Telltale game I've played. Very slow with a nonsense plot and shallow characters. Wasn't planning on buying this anyway but thanks for the reinforcement.